Afro-punk fest 2012 not punk, just corporate: "Afro-punks in 2003 were people just acknowledging that they weren't 'any less black' simply because they were 'less normal.' 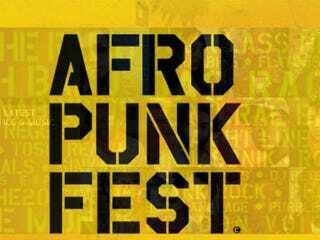 But somewhere that was twisted and manipulated and the current Afro-Punk festival and 'genre' was created," Symphony A. Spell writes at Superchief. She says this year's lineup misses the mark in more ways than one. Ten best contemporary African books: That's according to the United Kingdom's Guardian, at least. Let us know whether you agree with the newspaper's selections. Black dancers promote Lindy Hop: Of the eight dancers inducted into the International Lindy Hop Hall of Fame over the weekend, seven of them are African American, the Washington Post reports. They include Sonny Allen, Barbara Billups and the late Frankie Manning, the "most revered man in Lindy Hop." Lindy Hop is a swing dance popularized by African Americans in Harlem during the 1920s. Report: Usher awarded custody of sons: If this account is accurate, the singer will have primary custody of Usher Raymond V and Naviyd Ely Raymond, his children with ex-wife Tameka Raymond, who fought for full custody.